Though not my intention at the outset, my first ever Open House London experience last weekend saw me visiting, among other sites, a number of social housing schemes, giving me a little more insight into the work done by London authorities to house thousands of families in the 60s and 70s. 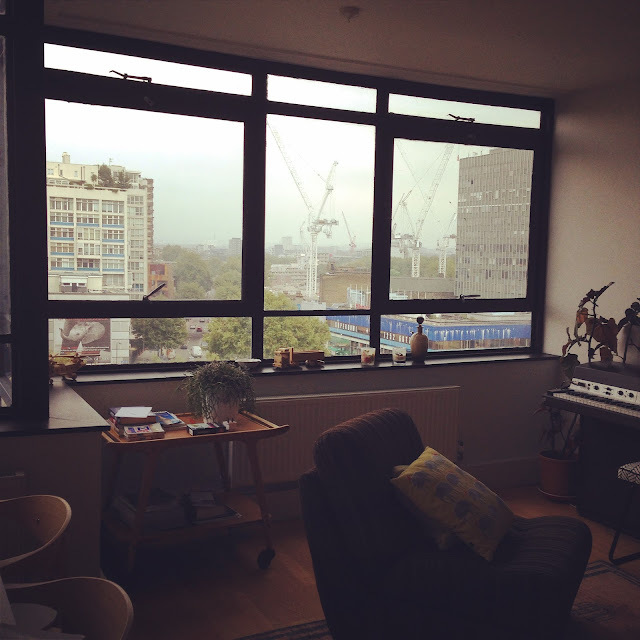 While definitely not exhaustive, I got a sense of high-rise in Elephant & Castle, low-rise in Tulse Hill and a mixture of the two in the most high-density development of the three in World's End, Chelsea. Each tour was a fantastic insight not only into the design and intentions behind each development, but the daily life of each scheme, as each tour was led by residents. Britain has an amazing stock of post-war housing, but it's very much a depleting stock: I recommend opportunities such as Open House to see them while you still can, while books such as Concretopia by John Grindrod and A Guide to the New Ruins of Great Britain by Owen Hatherley give good insight into the rise and fall of postwar socially-minded architecture here in the UK. 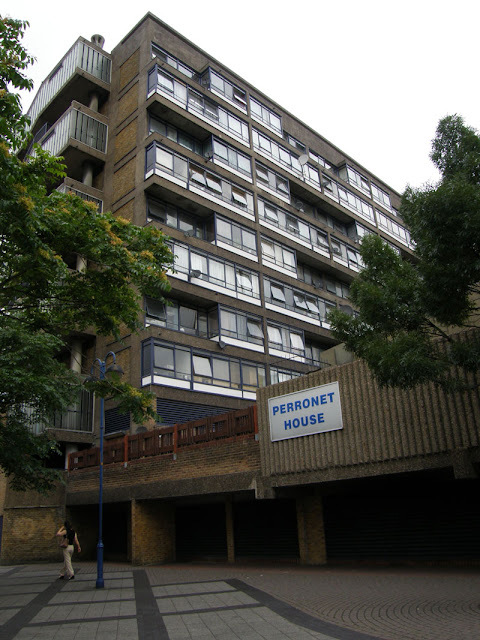 First up was Perronet House, designed for Southwark Council by Sir Roger Walters and inhabited from 1970 onwards. It is an 11 storey building containing 90 flats which overlooks Elephant & Castle roundabout and won a commendation at the government's Good Housing awards in 1971 for its 'boldness and conviction'. Despite its location by a crazily busy roundabout the flats are relatively quiet, having been double-glazed right from the off. 80 of the flats - including the ones I visited - are split level and dual aspect, placing living spaces and kitchens on the roundabout side of the building and bedrooms on the quieter side. 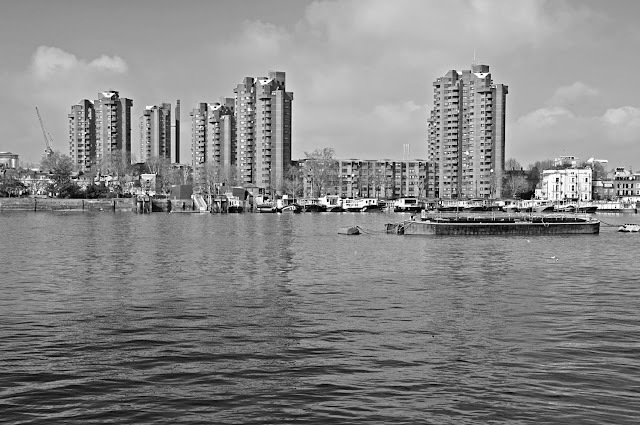 Most of the flats are still council-owned, with about 40 owned by leaseholders. 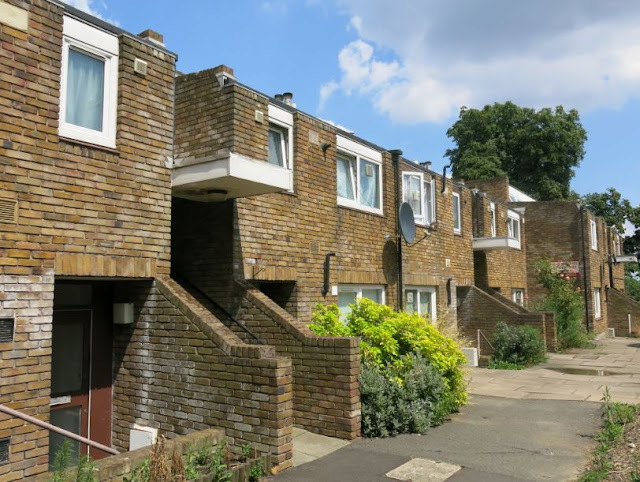 There are a number of communal gardens inhabiting the building's balconies and the building's Tenants and Residents Association host events, open forums and community initiatives. Of the schemes I visited, Perronet House is the one with the least impressive or inviting facade but is really beautiful on the inside, with bright spaces, great views and generous proportions in every flat. 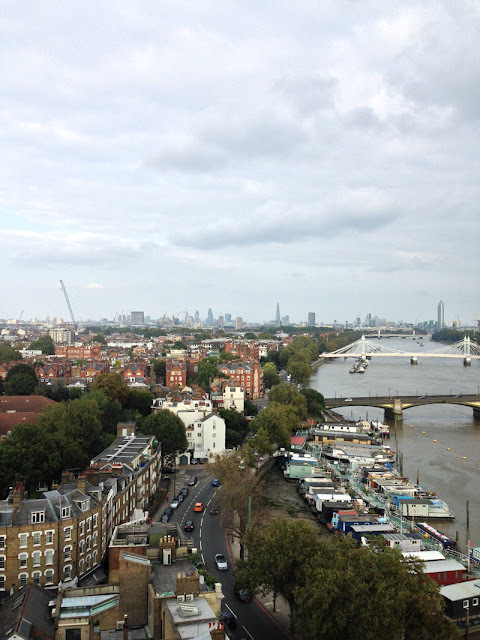 Lastly I visited the World's End Estate in Chelsea, a behemoth of a complex featuring 750 dwellings in seven tower blocks (ranging from 18 to 21 storeys), all connected by nine four-storey walkway blocks. Designed by Eric Lyons for what is now Kensington and Chelsea Borough Council, it's a redbrick faceted triumph, still largely owned and managed by the council (though the residents would prefer someone else manage it and are continuing to lobby the council about this). I didn't get to see inside a flat here, but it seems a lot of the original tenants and their families remain, so it must be a pretty alright place to live (management woes aside). It's incredibly windy at World's End, especially the further up you go, and is not even slightly accessible, though Cressingham Gardens aside, this just wasn't a consideration until much more recently. But the views of and from the estate are breathtaking, and its many angles and overhangs create an incredible brick collage. World's End Estate is a sharp contrast from the unassuming exterior of Perronet House and the low-rise leafiness of Cressingham Gardens; it is brutal and beautiful. Social housing here in the UK is - and has been - under threat, with stupidly small numbers of new dwellings being built and more and more of the existing stock being sold off. If you have the time for a long read, James Meek has asked the question 'Where will we live?' in the London Review of Books, providing a good explainer on how the UK's gotten to where it is. 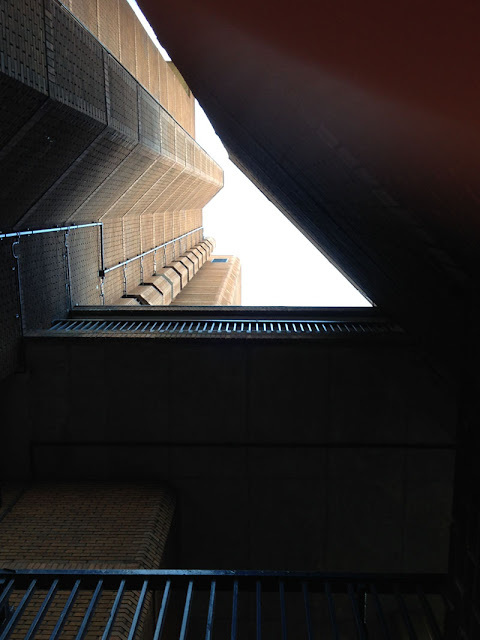 Take opportunities such as Open House to explore these amazing places and celebrate the architectural and social triumphs of the postwar period while you still can, as their future is, shamefully, not secure. Open House returns to Limerick on 3 - 5 October, Lisbon on 11 - 12 October and Dublin on 17 - 19 October. Check out openhouseworldwide.org for other events around the world.